Hi there... if you regularly read this blog, then here's more of the same: a random video that I made. If you're here because of something to do with Blogher (either you saw that this post was honored as one of Blogher's Voices of the Year in the Life category, or you met me at the conference in 4 days - yes I am talking about the past in the future kind of like that long time ago in a galaxy far far away stuff - and remembered the URL of my blog even though I didn't give you a business card - but it's not because you weren't worthy, it's because I didn't have any made - and that's not because I think I'm so popular that you should know me by sight - it's because I'm Asian and is it too much to ask that you be able to discern ONE Asian guy out of, what, 3 Asian dad bloggers in the world? - no, that was unfair to put you on the defensive, I'm simply lazy), I figured I should have a post up that's not over a month old. Also, I felt it should be a post that represents me. So this is the best I could do. 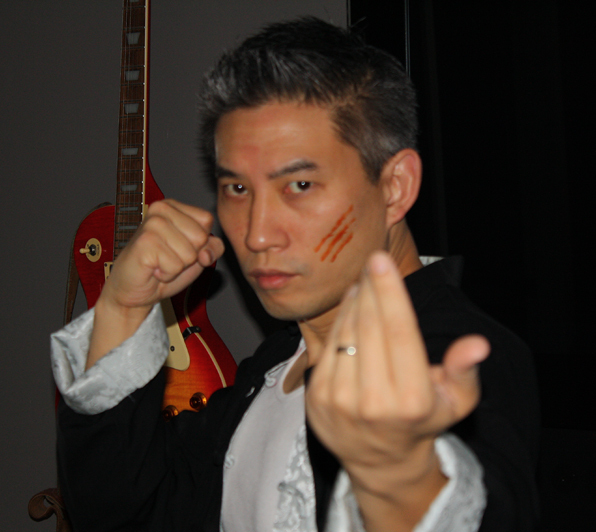 I spoofed my hero, Bruce Lee. To spoof is to love.